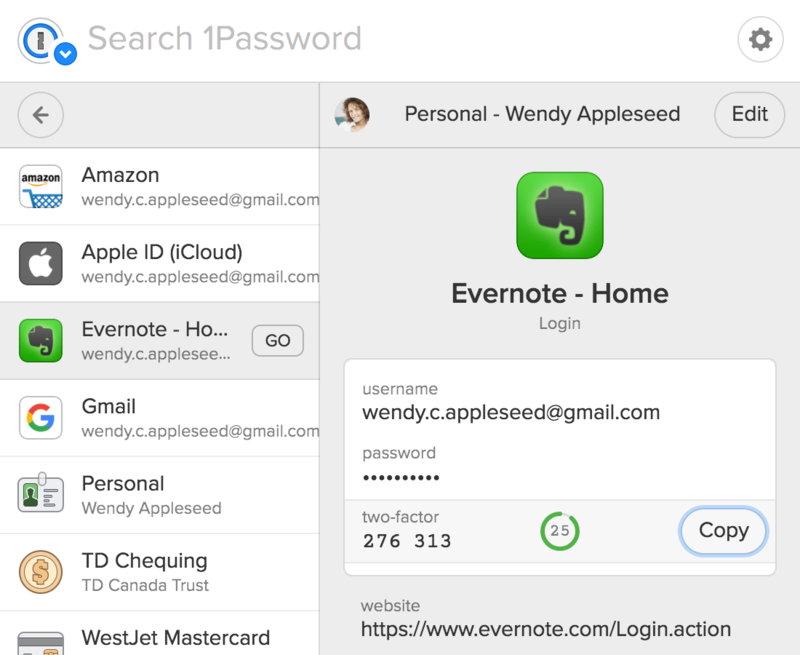 1Password X is a 1Password experience entirely in your browser. Easily sign in to sites, use suggested passwords, and find what you need. Everything is available at your fingertips. Before you get started, set up 1Password X in Chrome or Firefox. 1Password X is always available when you need it. As you browse the web, you’ll see the 1Password icon wherever you need to sign in. To prevent your browser from interfering with 1Password, turn off its built-in password manager. To fill a login, click and choose one to fill. If you have more than one login for a site, start typing to find the one you want. To save a login, enter your username and password. Then click and choose Save in 1Password. If you make a mistake and the login is incorrect or incomplete, you can update it. Make your changes, then click and choose Update Saved Login. 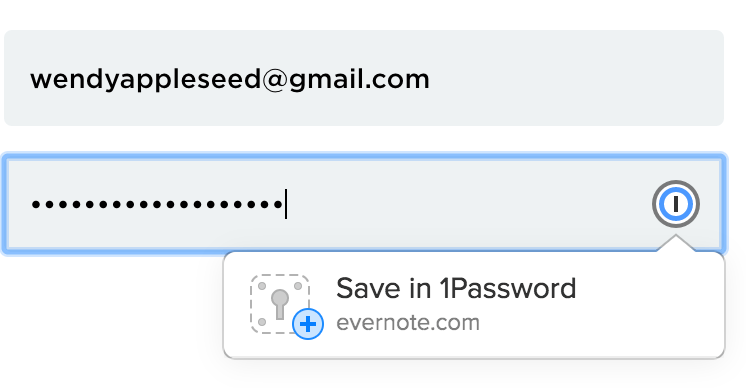 1Password can suggest a strong password when you’re changing a password or signing up for a new account. To use a suggested password, click in a password field and choose Use Suggested Password. You can use the 1Password pop-up to fill additional information, like credit cards, addresses, and one-time passwords. To open the pop-up, click the 1Password button in your toolbar. 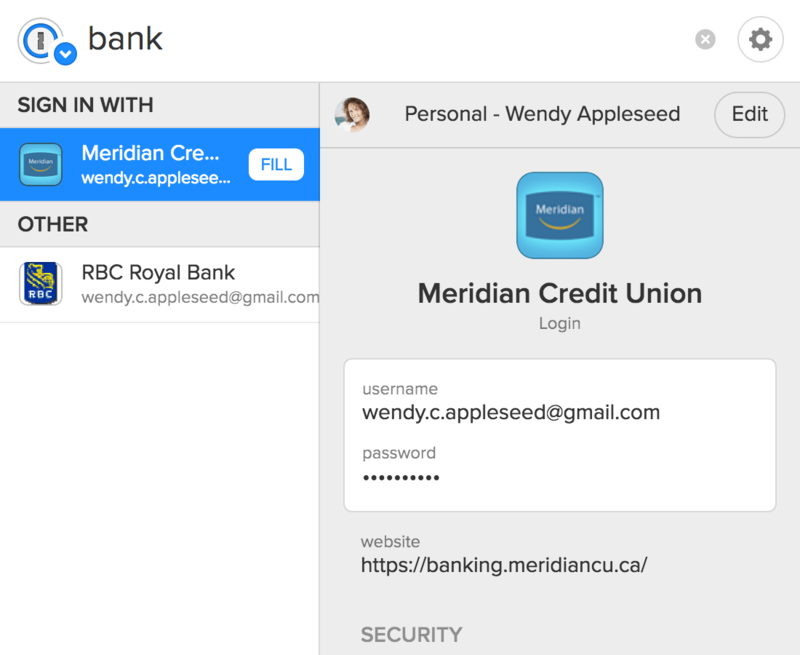 You can also use the 1Password pop-up to find, view, and edit items. To open the pop-up, click the 1Password button in your toolbar. To view an item’s details, hover over it and click next to its name. Or use the arrow keys to select it, and press Right Arrow. To open and fill a login, click the website field. To copy any other field, click it. To edit an item, click Edit. The item will open in a new tab where you can mark it as a favorite, add tags, move it, or delete it. To go back, click above the item list. To search, open the pop-up and start typing. Items 1Password can fill on the current page are listed at the top. To see an item’s details, select it. To fill the selected item on the current page, click Fill or press Return. If the selected item is a login for a different site, click Go or press Return to open and fill it in a new tab. To cancel the current search, click or press Esc. To see a list of your accounts and vaults, click to the left of the search field. 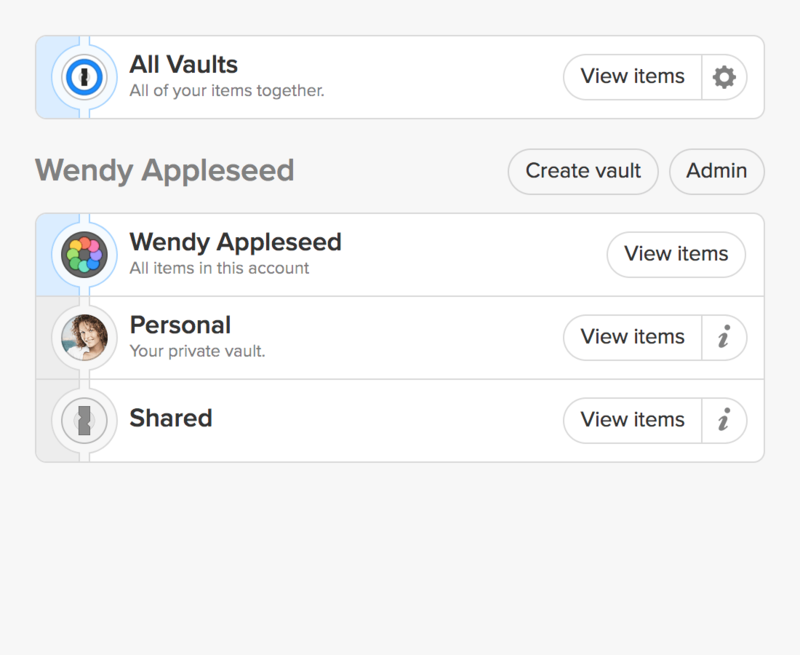 To see only the items in an account or vault, click it. To see everything, click All Vaults. To change the vaults included when you view All Vaults, click , enable or disable vaults, and click Done. 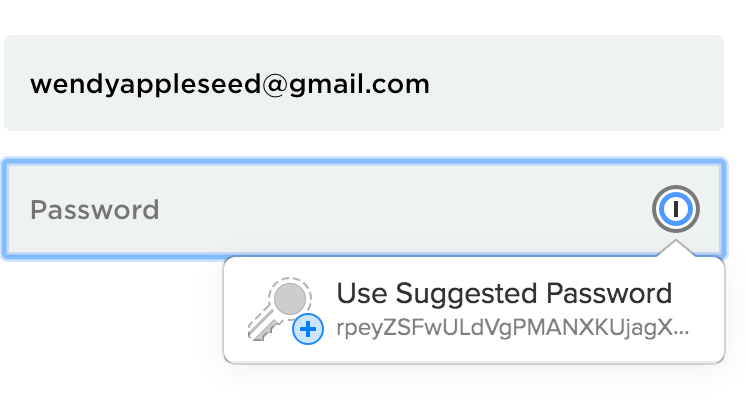 To sign in to an account on the 1Password website, click Admin next to its name. When you’re done using 1Password, you can lock it. To lock 1Password, click to the right of the search field, then click Lock. 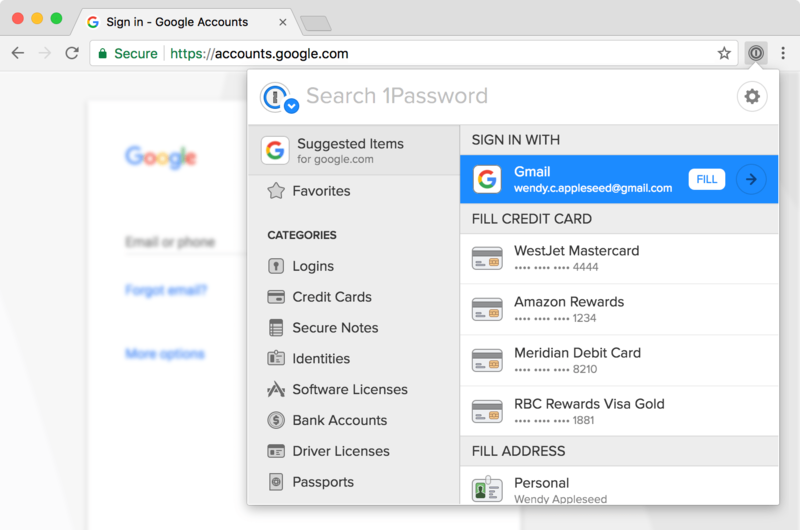 1Password X works on Linux, Chrome OS, Mac, and Windows. It’s available for Chrome and Firefox. The Chrome extension also works in other Chromium-based browsers, like Opera and Vivaldi. When you unlock 1Password with your Master Password, only accounts with the same password will be unlocked. To unlock an account that has a different password, lock 1Password, then unlock it using the password for that account. We recommend using the same Master Password for all your accounts. If you signed up for accounts with different passwords, you can change them. To get help and share feedback, join the discussion in the 1Password Support forum.